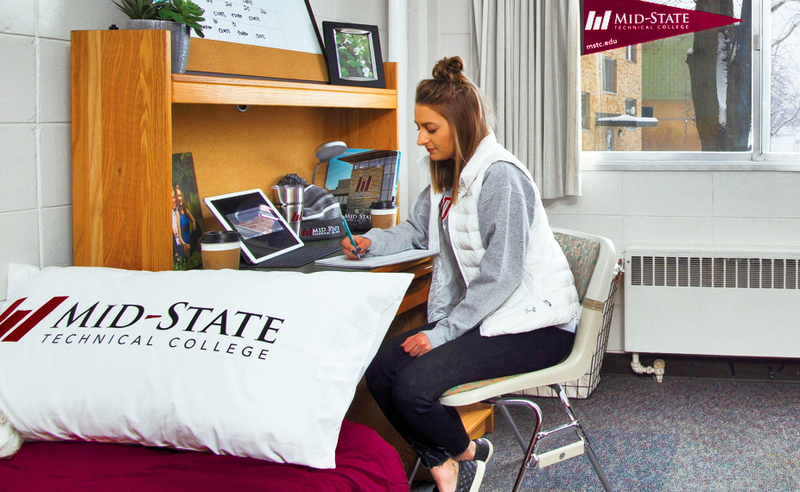 WISCONSIN RAPIDS – Thanks to a new partnership between Mid-State Technical College and the University of Wisconsin-Stevens Point, Mid-State students can now live in one of UW-Stevens Point’s co-ed residential halls. 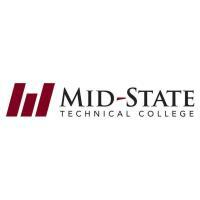 Representatives from both institutions formalized the arrangement with a signing event on Feb. 4 at Mid-State’s Stevens Point Campus. The new housing option is available to any Mid-State student, whether they are full- or part-time, a recent high school student or an adult. Cost is the same as it is for UW-Stevens Point students at $3,500 to $4,000 per semester and includes a meal plan and residential life programming. The rooms include beds, bureaus, closets and desks for two students, and students will have the added benefit of living in the same residence hall in proximity to other Mid-State students or can request to room with a friend who may be attending UW-Stevens Point. Transportation between the UW-Stevens Point and Mid-State’s Stevens Point campuses will also be available. More details about the housing available and an application for students can be found atmstc.edu/housing. Dr. Shelly Mondeik, president of Mid-State Technical College (center), and Dr. Al S. Thompson, Jr., vice chancellor for student affairs and senior diversity officer at UW-Stevens Point, sign an agreement to provide housing for Mid-State students in a UW-Stevens Point residential living hall. 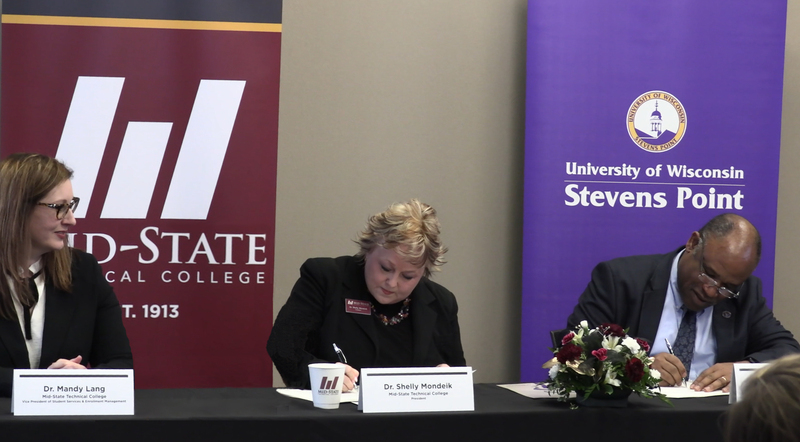 The signing took place during an event formalizing the new partnership on Mid-State’s Stevens Point Campus, Feb. 4. Also pictured (left) is Dr. Mandy Lang, Mid-State’s vice president of student services & enrollment management. The rooms available to Mid-State students as a result of the housing partnership include beds, bureaus, closets and desks for two students. A meal plan is also included in the cost.